From: Commander Battleships, Battle Force. 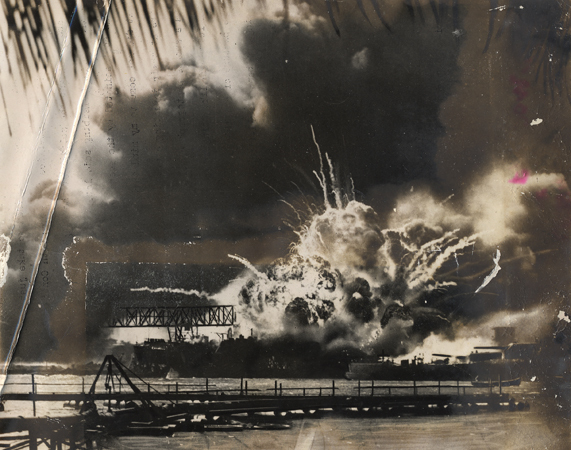 Subject: Attack at pearl Harbor by Japanese Planes on December 7, 1941. Reference: (a) CO West Virginia ltr BB48/A16-3 of Dec. 11, 1941., with Combat ships lst end A16-3,(0974) of Dec. 13, 1941. (b) CO Maryland ltr BB46/A16/0f10/(0229) of Dec. 15, 1941. (c) CO Tennessee ltr BB43/A16-3/(0157) of Dec. 11, 1941. (d) CO Pennsylvania ltr BB38/A16-3/(01535) of Dec. 16, 1941. (e) CO California ltr (1002) of Dec. 13, 1941. (f) CO Arizona ltr BB39/A16 of Dec. 13, 1941. (g) CO Nevada ltr BB36/A9/A16(Nev-10) of Dec. 15, 1941. Enclosure: (A) Berthing Plan of Battleships on December 7, 1941. (B) Radio Log of Commander Battleships. (C) Signal Log of Commander Battleships. (D) Report of Captain W.R. Carter, U.S. Navy, Chief of Staff to Commander Battleships. (E) Report of Lt.Col. R.R. Robinson, U.S.M.C. (F) Report of Comdr. E.P. 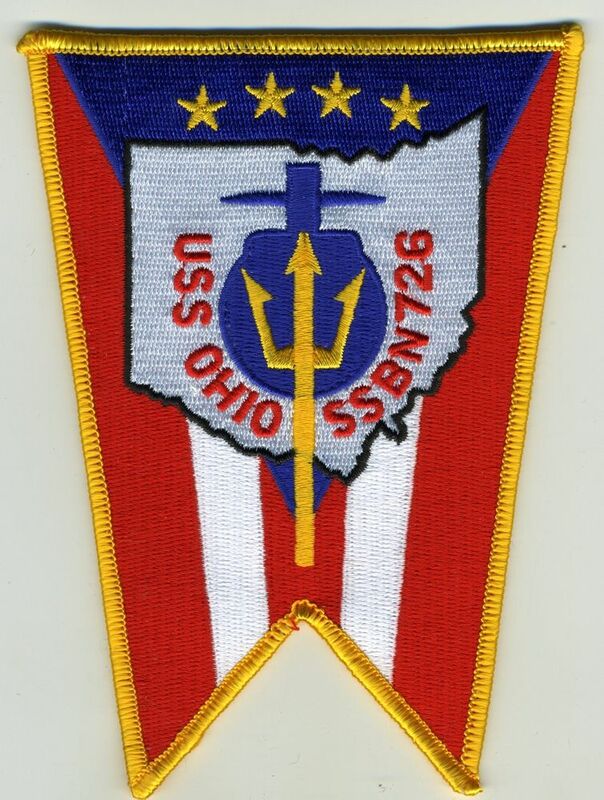 Kranzfelder, U.S. Navy. (G) Report of Comdr. W.F. Fitzgerald, jr., U.S. Navy. (H) Report of Comdr. W.V. 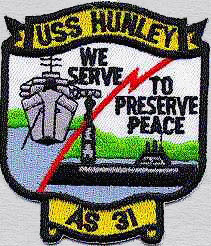 Hamilton, U.S. Navy. (I) Report of Comdr. L.S. Sabin, jr., U.S. Navy. (J) Report of Lt.Comdr. D.H. Johnston, U.S. Navy. (K) Report of Lt.Comdr. R.G. Lockhart, U.S. Navy. (L) Report of Lt.Comdr. C.F. Horne, jr., U.S. Navy. (M) Report of Lieut. E.P. Holmes, U.S. Navy. (N) Report of Lieut. R.S. Mandelkorn, U.S. Navy. (O) Report of Lieut. (jg) K.W. Patrick, U.S. Navy. (P) Report of Ensign P.H. Dunkle, U.S.N.R. (Q) Report of Ensign W.O. Beach, U.S.N.R. (R) Report of Ensign F. Johnson, U.S.N.R. (S) Report of Ensign C. Koeningberger, jr., U.S.N.R. (T) Report of Ensign W.S. Bradway, jr., U.S.N.R. (U) Report of Ensign C.H. Bradford, jr., U.S.N.R. On the occasion of the treacherous surprise attack on Pearl Harbor on December 7, 1941, battleship ready guns opened fire at once. They were progressively augmented as the rest of the antiaircraft battery was manned as all battleships went to General Quarters with commendable promptness. This resulted in an early and great volume of antiaircraft fire. Considering all the circumstances, including the necessity for local control in the early stages of the attack, the control of fire was gratifyingly good as attested by the fifteen to seventeen enemy planes which were brought down. That such an antiaircraft fire could be inaugurated and sustained in spite of the difficulties resulting from early damage by torpedoes and bombs and great and menacing oil fires is a tribute to the courage, constancy, efficiency and resourcefulness of the officers and men. not only were they maintaining a sustained and aggressive fire whenever the enemy threatened, but they were engaged in valiant efforts to save the ships, prevent their capsizing and fighting large and menacing oil fires, enveloped in dense clouds of smoke. Severe structural damage and flooded magazines made replenishment of ammunition a serious problem, in overcoming which great courage and ingenuity was exhibited. Commander Battleships’ endorsement on the detailed report of the West Virginia was forwarded separately, reference (a). Detailed reports of other ships, references (b) to (g), inclusive, were forwarded direct to the Commander-in-Chief, U.S. Pacific Fleet with the exception of the U.S.S. Oklahoma whose report has not yet been received. Individual reports by members of Commander Battleships’ staff are forwarded herewith as enclosures (D) to (U), inclusive. Radio and signal logs of Commander Battleships are forwarded as enclosures (B) and (C) respectively. The signal log is known to be incomplete. That is probably true in less degree of the radio log. Situation at beginning of attack. The battleships were disposed as follows: (See enclosure (A)). California in Berth Fox 3. Maryland in Berth Fox 5 inboard. Oklahoma in Berth Fox 5 outboard. Tennessee in Berth Fox 6 inboard. West Virginia in Berth Fox 6 outboard. Arizona in Berth Fox 7 inboard, with the U.S.S. Vestal outboard. Nevada in Berth Fox 8. Movements of ships. During the action the Nevada got underway and was bombed while standing down the channel. The Vestal managed to clear the side of the Arizona and stood up to the northeastward in the channel. The positions of the berths and the approximate course of the Nevada and Vestal are shown on enclosure (A). Description of attacks. The attacks were made apparently in four overlapping waves commencing at about 0755, and lasting until about 0915 as far as attacks on the battleships were concerned. it was noted that the last attack continued on the ships in the North Channel until about 0920. The first attack, from about 0755 until shortly after 0800, was apparently a dive bombing attack or low altitude bombing attack, the objective being the Air Station on Ford Island. it is estimated that between five and ten planes made this attack. While this attack was in progress the second attack was made by torpedo planes commencing a minute or two before 0800 and continuing for ten or fifteen minutes. It is estimated that about eight to fifteen planes made the attack, coming in from the southeast at about 200 feet altitude and launching the torpedoes at an altitude estimated form 15 to 75 feet. The objective of this attack was the battleships and it is believed that all outboard ships at the berths with the exception of the Vestal were hit at least once. Apparently the torpedo which hit the Arizona passed under the Vestal. It was noted that during this attack a strafing attack was made from the rear cockpit of the torpedo planes. During the latter part of the torpedo plane attack, dive bombing attacks were made from various directions. it is difficult to estimate the number of planes engaged in the dive bombing attack. The California estimated nine; the Tennessee estimated forty. it is probable that the correct number is about the average of these two. During the dive bombing attack it is believed that three types of bombs were used: light, medium, and incendiary. Numerous hits were made on the battleships resulting in considerable smoke and fire. A number of bombs fell near the battleships causing damage from fragments and splinters. During this attack many of the planes barely cleared the tops of the ship after releasing their bombs. The fourth and last attack was a high-altitude horizontal attack during which heavy bombs were dropped. it is estimated that this lasted from about 0825 until shortly after 0900. The damage from these bombs was serious. it is believed that at least some of these bombs were converted fifteen or sixteen-inch shells. They penetrated with about 20-inch holes, low order detonation, and very little flame. Action taken. When the attack first started, the Chief of Staff, Operations Officer and Assistant Material Officer were on board the flagship, Maryland. Other members of the Staff returned to the ship as soon as practicable, all arriving on board either during the action or shortly thereafter. Commander Battleships arrived on board about 0905 and immediately took general charge not only of the salvage and rescue work of the battleships but also assisted in retransmitting messages received from the Commander-in-Chief addressed to various light forces. Nevada — the ship was struck by a torpedo at frame 40 port, at about the turn of the bilge, and by five bombs forward, of which two were heavy bombs. The anchor machinery and neighboring ship’s structure is wrecked, and the foremast is burned out from the bridge superstructure to the main deck. The ship is hard aground, in water shoaling from 9 fathoms forward to 2-1.2 fathoms aft. Within the ship, water is above the main deck forward, and above the second deck aft. The starboard screw has been damaged by grounding. Oklahoma — The ship was struck by a number of torpedoes estimated at from 3 to 5, on the port side, and by an undetermined number of bombs. The almost immediate loss of stability caused her to capsize to port. Due to the shallowness of water at her berth, the upper works struck the bottom, and have kept the ship from capsizing completely. At present the starboard side of the ship, from the keep to about 15 feet above the turn of the bilge is above water. She is about 150° from upright. As far as is know, magazines were not flooded and fuel tanks are intact, except for those hulled by torpedo hits. Pennsylvania — The ship was struck by a bomb in way of the starboard after antiaircraft battery. Damaged antiaircraft gun has been replaced, and as has the wrecked broadside gun below. Fire from destroyers forward in drydock caused no more than superficial burning of paint on the bow of the Pennsylvania. Arizona — The ship was struck by a number of torpedoes estimated at from one to three, on the port side, and by three bombs from dive bombers. one bomb struck the face plate of No. 4 turret, was deflected, and exploded on the third deck; one penetrated just forward of the stack, and one went down the stack. The ship broke in two as a result of the explosion of a 14-inch powder magazine, probably abaft turret number 2, and a fierce fire ensued, which ravaged the portion of the ship still above water. The portion of the ship abaft the stack was relatively undamaged, and is aground in water four feet over the main deck. California — The ship was struck by two torpedoes at frame 110 port, and by one torpedo at frame 47 port, and by from three to five bombs in the waist and forward part of the ship, one or more of which caused serious fire in the crew’s living spaces, which gutted that portion of the ship before it was flooded. The ship is now resting on the bottom, in water almost up to the boat deck level. Tennessee — The ship was struck by two 15-inch A.P. bombs. One striking the center gun of No. 2 turret, cracked it. The other two guns are operable. The second, striking the rear left side of the roof of turret No. 3 pierced the roof plate, damaging the catapult, roof plate, roof girder, rangefinder, and rammer of the left gun. Repairs are underway. The heat from the blazing Arizona, astern, and fuel oil afire on the water, started a fire in officer’s quarters aft, with subsequent damage to wiring, airplane machinery, and warping of shell plating aft, causing cracks and opening of joints. Repairs are underway on all of these items, including blanking shell airports aft in the affected area. During the above fire, the ship flooded the after group of magazines. these were found to have suffered no damage when they were unwatered. The stern airplane crane has been operated on full load but not on overload. A dead load shot has been fired by the after catapult. Main deck plating aft is somewhat buckled due to heat, and the planking is charred. Repair is not considered urgent to prepare the ship for sea. The Tennessee was pinched between the West Virginia and the forward interrupted quay. There is no evidence of excessive strain of the ship’s structure. Armor belts have been examined and found tight. Maryland — The ship was struck by a light fragmentation bomb on the forecastle deck forward, which blew a hole about 12 feet by 20 feet in the deck, and caused minor structural damage in the compartments on the main deck below. This has been repaired. A 15-inch A.P. bomb entered the water on the port bow close aboard, and pierced the shell at the twenty-three foot water line, near frame 11, exploding in compartment A-103-A, sail and awning stowage, causing widespread structural damage and flooding. Repairs are underway to make the ship seaworthy. The torpedo air compressor rooms were flooded incident to this hit, placing both compressors out of commission. A steam air compressor has been installed in the ship to provide H.P. air until these compressors can be repaired. Small arms and .50 caliber machine gun magazine was flooded by the ship. West Virginia — The ship was struck on the port side by 4 torpedoes, one bomb struck in the waist on the ship on the port side, and one struck the roof of turret No. 3, blew out its base plug and burned. Counter flooding prevented capsizing, but fire gutted the ship from the waist forward. The ship is aground, with water well over the second deck. The after magazines were flooded by the ship but it is uncertain whether or not the forward magazines were flooded. Information available at present indicates that machinery and fireroom spaces have incurred little or no damage from explosion or fire. On the Nevada, Oklahoma, Arizona, California and West Virginia the engineering plants are submerged. The fires in the forward portions of the West Virginia and Arizona have caused warping and collapse of a considerable portion of structure. Planes were ship based on the following ships: West Virginia, California, and Oklahoma. The West Virginia’s planes were destroyed by fire. one engine and propeller may be salvaged. California’s planes: 2-0-4 was taxied to the Naval Air Station, Pearl Harbor, after the bombing; 2-0-5 was thrown overboard as a fire hazard; 2-0-6 sustained minor damage. The Oklahoma’s planes were lost, although one was hoisted in after 48 hours submergence. This plane was so covered with fuel oil as to be unserviceable. Some parts including the engine will be salvaged. The need for adequate splinter protection for topside personnel was vividly demonstrated. For example, the protection afforded by the King Board bulkheads provided considerable protection so far as it went. These bulkheads were pitted by many .50 caliber bullets and fragments. in no case were the bulkheads which were inspected holed. However, the protection afforded was inadequate. There should be gun shields, or better still, gun turrets. In the case of the Nevada, a bomb hit the boat deck and wiped out most of the personnel because no protection was afforded from inboard. The need for splinter protection with lateral, all around, and overhead protection has been stressed by Commander Battleships in previous correspondence and the attack on Pearl Harbor served to emphasize its urgent necessity. Commander Battleships’ previous correspondence regarding the turret roof armor was verified by the piercing of the turret top in the case of the West Virginia and Tennessee. Fire-fighting, rescue and salvage. As stated in paragraph 6 above, Commander Battleships upon his arrival took general charge of fire-fighting, rescue and salvage work. Burning oil from the Arizona was being carried on the surface of the water surrounding the Tennessee-West Virginia group and at times on the Maryland and capsized Oklahoma. The YG17 upon the initiative of her commanding officer, Chief Boatswain’s Mate, L.M. Jansen, U.S. Navy, took aggressive action in fighting the fire, taking station at the quarter of the West Virginia and maintaining her position there in spite of dense smoke and flame. Commander Battleships directed the Tern to assist and later when the Widgeon reported to assist in the rescue work on the hull of the capsized Oklahoma, directed that vessel to fight the fire. Later, the Bobolink was also directed to assist. These vessels kept the fire under control throughout the night and with the assistance of the Navajo on December 8 succeeded in extinguishing the fire in the West Virginia. These vessels were then directed to fight the fire in the Arizona which was gotten under control before dark the night of December 8. The California was listing dangerously to port. The Nevada, which had gotten underway from her berth, and had been bombed in the channel, was beached in order to prevent sinking or capsizing. Rescue work on the hull of the capsized Oklahoma was initiated by Commander Battleships and directed by Commander E.P. Kranzfelder and Lieutenant Mandelkorn of Commander Battleships’ staff, assisted by officers and men of the Oklahoma, men from the Rigel and Navy Yard Pearl Harbor and fire and rescue parties from the battleships. As a result of these efforts 32 men were rescued alive from the hull of the Oklahoma. See Enc. (V). Care of Survivors and Replacement of Ammunition. Shortly after the engagement, Captain H.D. 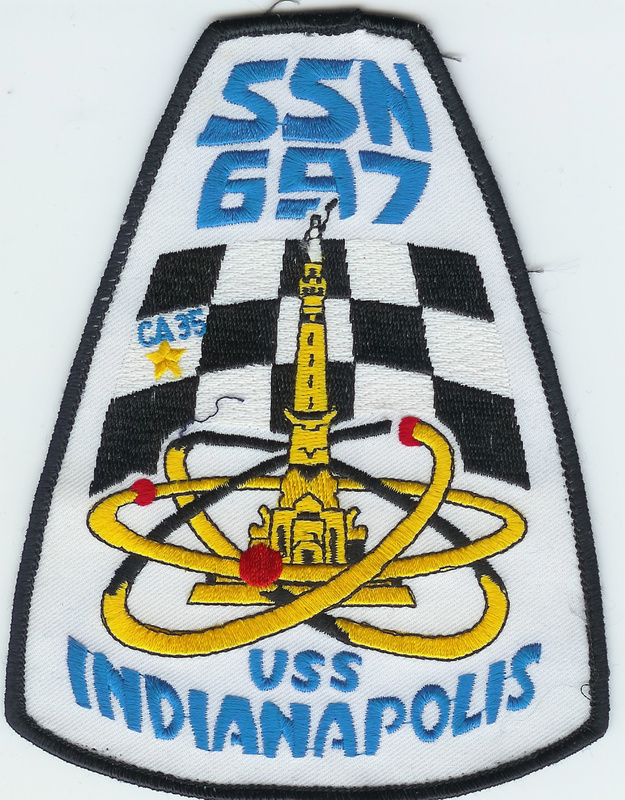 Bode, U.S.S. Oklahoma, was directed to take charge of the survivors of the damaged battleships, then at Naval Air Station, Ford Island, and to contact Naval Ammunition Depot, Oahu and to arrange for the replacement of the ammunition expended. This officer, assisted by survivors from the Oklahoma, set up headquarters at West Loch and took over the responsibility of replacing ammunition, not only to the battleships but to other vessels in the harbor and Navy Yard, augmenting the force at Naval Ammunition Depot, Oahu. Personnel losses. (a) The following is a personnel table indicating the total officers and men attached to the ship prior to the attack, the number of casualties, the number of survivors, and the name of the senior surviving officer on each ship. The reports on which these figures are based are being corrected daily. * Includes Flag personnel attached. Rear Admiral I.C. Kidd, U.S. Navy, Commander Battleship Division One. Captain F. Van Valkenburgh, U.S. Navy, Commanding Officer, U.S.S. Arizona. Conduct of personnel. In separate correspondence Commander Battleships has submitted to the Commander-in-Chief a report of the distinguished conduct of various individuals, as well as the ships’ companies in general. Commander Battleships cannot, however, conclude this report without paying homage to the universal exhibition of courage and magnificent fighting spirit by absolutely all the personnel of the battleships. Their conduct was in accord with the highest traditions of the Service. Did I miss it? In chart, what is “OFF” ? Thanks for lots of detail. Thanks for the note NEO.